To create effective change and help conserve the Andean Cat, I have set definite conservation tactics for the Cat in Thin Air project to raise awareness about the Andean Mountain Cat. The best part is, you can participate for many of these. So if you think the Andean Cat is adorable (how could you not), dive right in!  Reach 3,000,000 people with Cat in Thin Air to introduce more people to the Andean Cat. The overall goal for the Cat in Thin Air project is to raise awareness about the Andean Cat. It is meant to serve as an introduction for people to get to know the Andean Cat, which will be the basis for people to care about and donate to Andean Cat conservation. Even on a wild cat specific website, less than 10% of 3000 people surveyed could name the Andean Cat as a wild cat species (compared to over 50% being able to name the Ocelot). It also has some of the lowest number of search results for any wild cat species. The point is people just don’t know about it. Through the below listed education tactics, we will reach three million local and global people. By achieving this goal, a much greater proportion of the world will know and care about the Andean Cat. How can you help? Easy, spread the word about the Andean Cat and Cat in Thin Air through email, social media, or yelling it from the mountain tops.  Take five photographs of the Andean Mountain Cat in the wild. Using customized SLR camera traps and working with the local researchers my goal is to get five photographs of the Andean Cat, including at least one image that really shows the cat in its high altitude habitat.  Photograph the research being done and the conservation actions being taken for the Andean Cat. 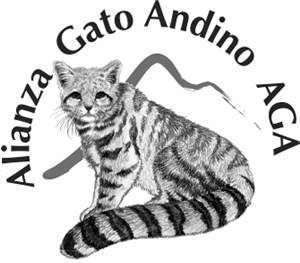 Working closely with the Andean Cat Alliance, I will take pictures of their public outreach programs the show the conservation being done for the cat within the local communities. I will also join them in the field to show their research efforts.  Take pictures of the threats the Andean Cat faces. This will include taking pictures of habitat loss, habitat fragmentation, hunting of their prey, and showing how skins of the cat are used in traditional ceremonies.  Create educational posters with Andean Cat photos for local schools and community centers. Using the Andean Cat pictures obtained through the digital SLR camera traps, I will help in creating posters that can further inform local children and adults about the amazing wildlife that surrounds them.  Rent a billboard for a one month period in the towns closest to the Andean Cat’s occupied range in all four countries it occupies. Many locals living in the cities near the habitat of the Andean Cat don’t know that it exists. By putting up billboards it will be possible to show them that they have a species that’s worth protecting. Are you a graphic designer interested in helping create the look of the billboard? Email us!  Put together an outdoor photography exhibition highlighting the Andean Cat to be shown in high altitude Andean communities. An outdoor photography exhibition will serve as a great tool to introduce the local people to the Andean Cat. It will also highlight the beauty of the landscapes that the cat is found in. In some of these areas, the Andean Cat Alliance is already working to try to establish reserves for tourism. This exhibit can highlight to the local people that tourists will come simply because of the stunning landscapes that surround them.  Publish a book about the Andean Cat and its struggles and send it to the government officials of the countries to help convince them to create more protected areas. One of the main goals for the Andean Cat Alliance is to create more protected areas to protect the Andean Mountain Cat. To do so, government officials have to be on the side of the cat. Pictures will tell a much better story than any graph can so by creating a book, it will be easier to convince the bureaucrats that more land needs to be set aside for the cats. Are you book editor, graphic designer, writer, proof-reader and are interested in helping out? Email us!  Get the story published internationally to raise global awareness of the cat. By getting a major magazine (like National Geographic, BBC Wildlife, Geo and others) to pick up the Andean Cat story we can create additional interest in the Andean Cat and its mountain habitat. The more people that are aware of it, the more people will ask for change!